TEHRAN: Iran’s supreme leader Ayatollah Ali Khamenei issued an angry rebuke to “blasphemous” regional rival Saudi Arabia on Monday, calling on the Muslim world to question its management of Islam’s holiest sites. “Because of Saudi rulers’ oppressive behaviour towards God’s guests, the world of Islam must fundamentally reconsider the management of the two holy places and the issue of Hajj,” Khamenei said in a statement published on his website, referring to Makkah and Madina. He published the comments ahead of this month’s annual Hajj pilgrimage to Makkah in Saudi Arabia. Some 60,000 Iranians took part last year, but have been effectively barred from this year’s event after negotiations between the two countries fell apart. 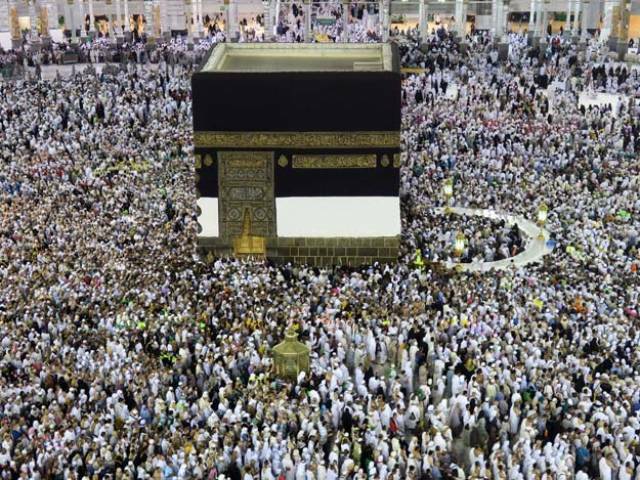 This month’s Hajj will be the first time in almost three decades that Iranian pilgrims have not participated. Khamenei was also fiercely critical of the Saudi response to a deadly stampede during last year’s Hajj, which killed some 2,300 foreign pilgrims, including an estimated 464 Iranians. “Instead of apology and remorse and judicial prosecution of those who were directly at fault in that horrifying event, Saudi rulers — with utmost shamelessness and insolence — refused to allow the formation of an international Islamic fact-finding committee,” he said. I think Khomenei doesn’t know that the real Thekedars of Makkah and Madinah is actually Pakistani army and not the Darul-Saud. Ask any Pakistani general and he will tell you that the ultimate responsibility of protecting Harmain Sharif will fall on Pakistan, if it is not already on them. Although many believe that it is because of Pakistan that Harmain Shareef is safe today. Please check your history before making such statements. These Baudian occupied these sides less then a hundred years ago. This was done with the help of their masters, whom they serve to this day. Can’t wait for your Messiah to kill all non-shias , right?